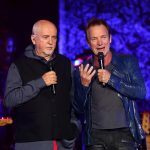 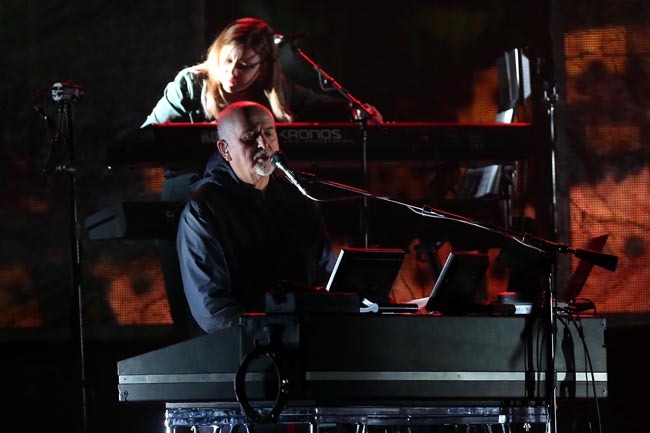 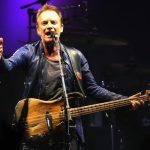 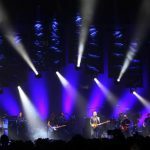 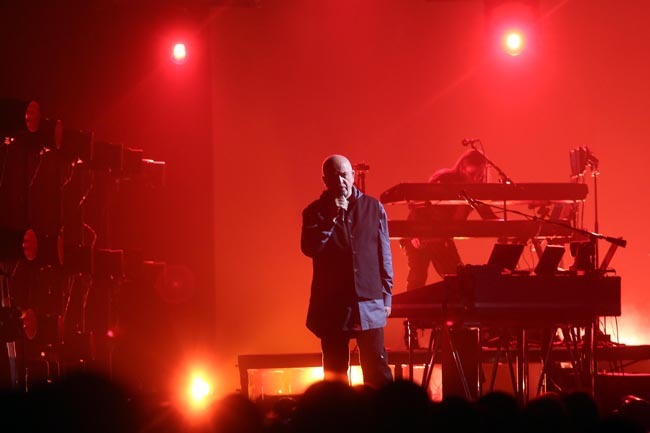 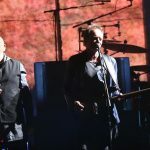 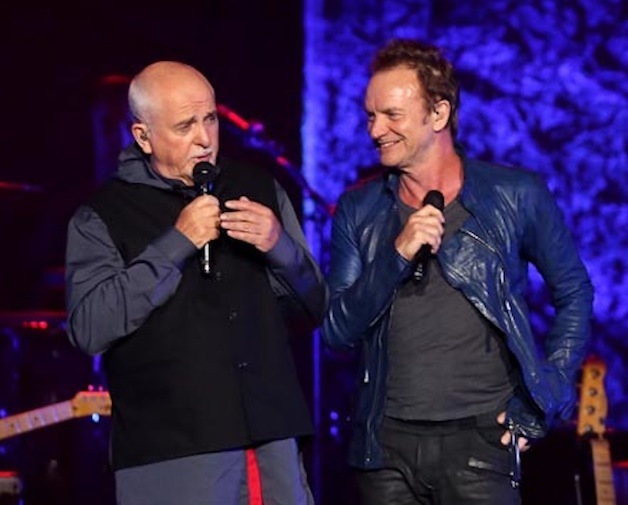 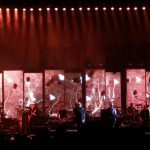 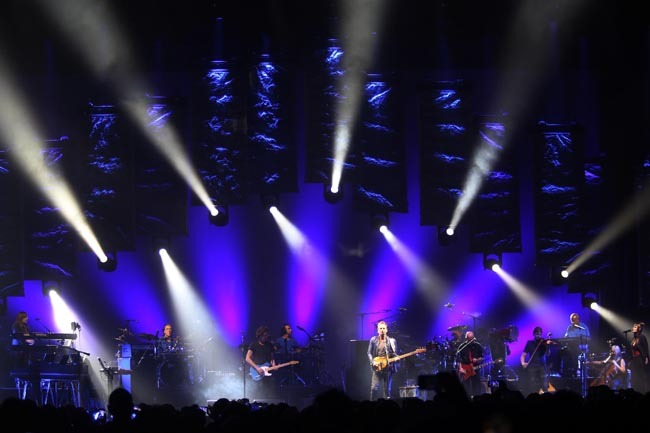 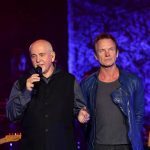 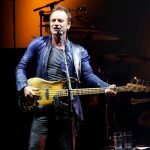 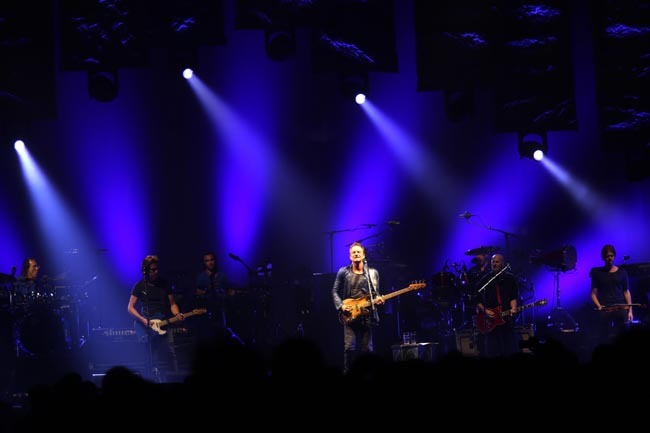 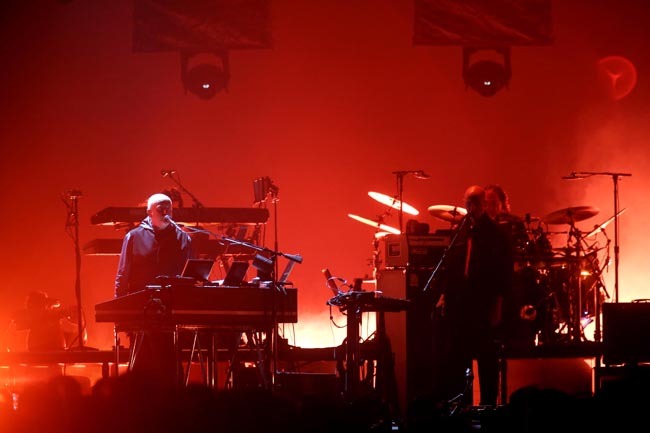 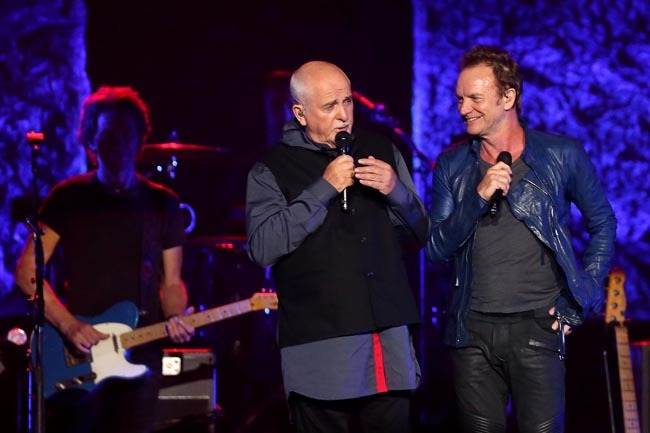 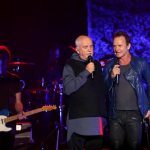 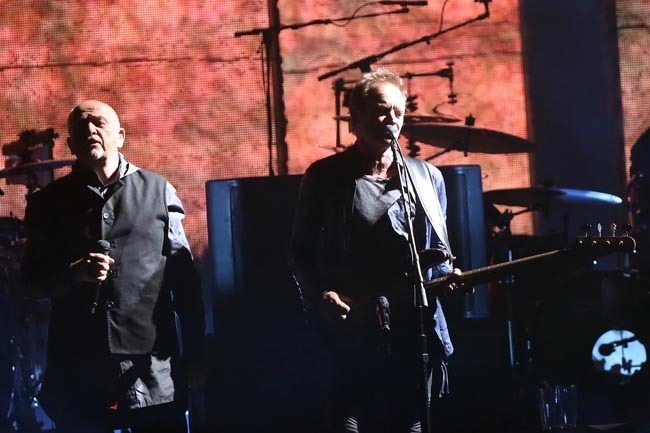 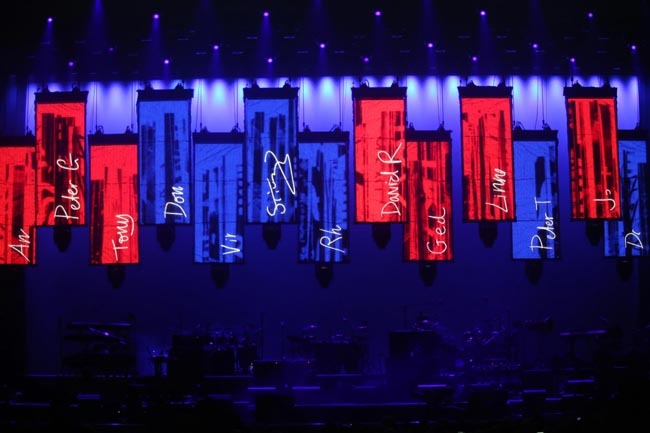 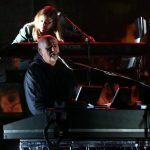 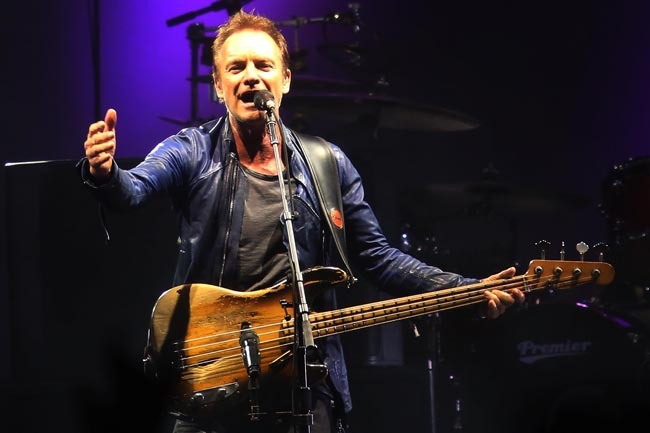 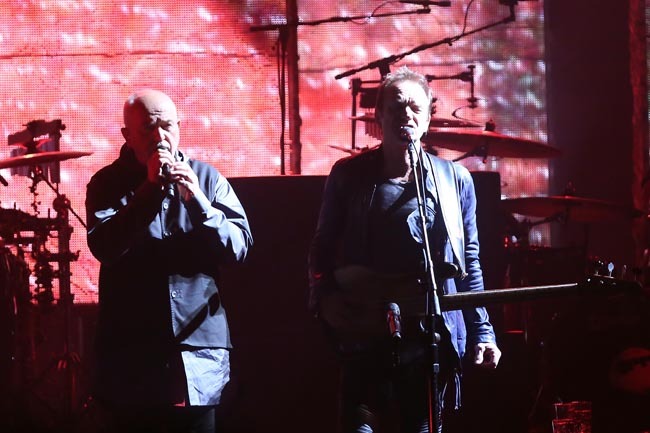 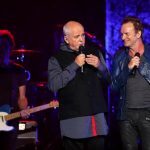 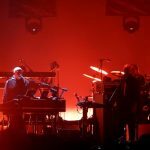 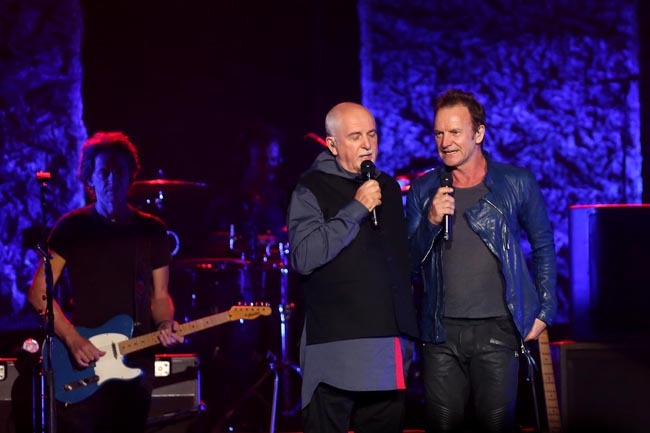 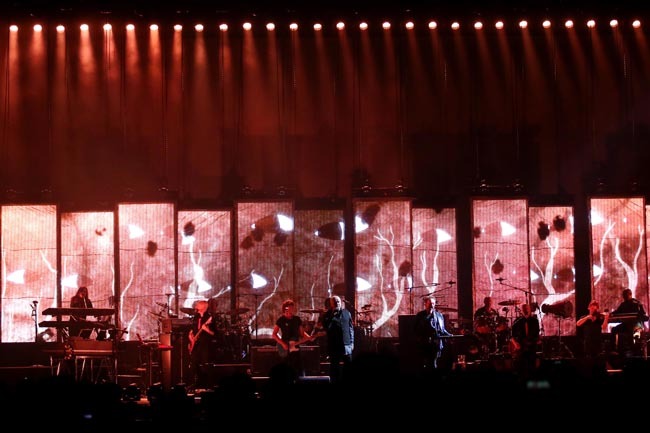 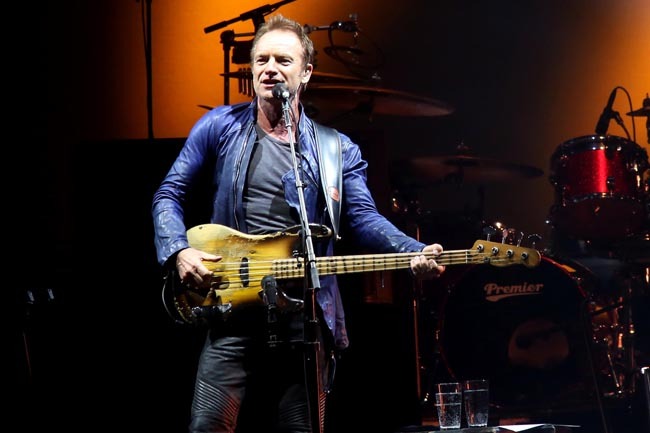 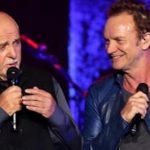 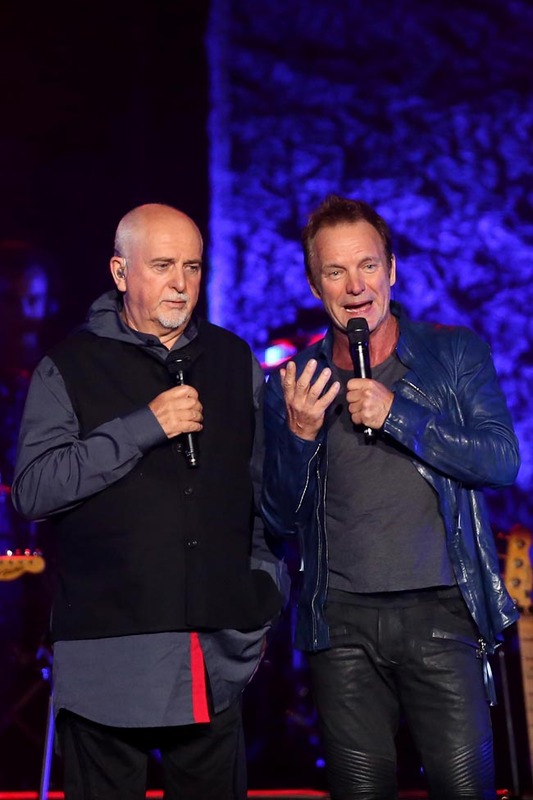 Two of the most creatively unpredictable and beloved band members turned solo artists just so happen to be longtime friends, though Sting and Peter Gabriel have rarely crossed paths on the road. 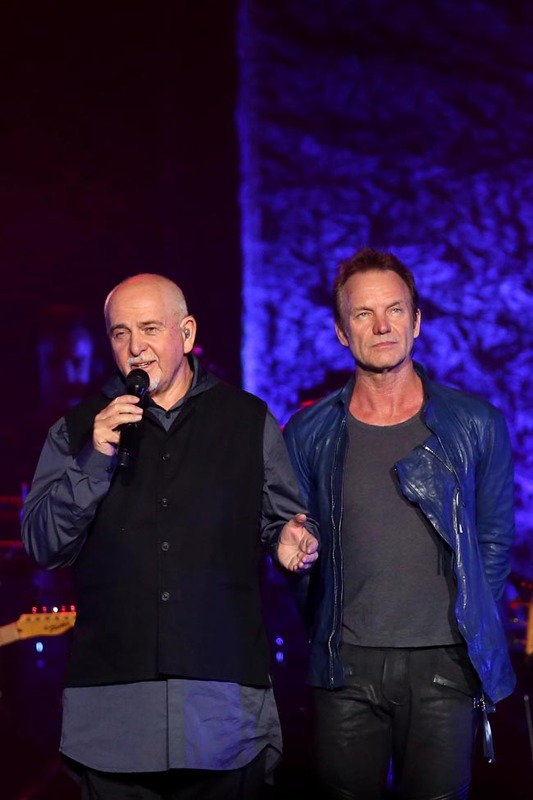 Sure, there was the groundbreaking but brief “A Conspiracy Of Hope” tour in 1986 for Amnesty International, but outside of the occasional award ceremony or TV show, The Police’s fearless leader and the former Genesis front man’s relationship hasn’t exactly played out in public. 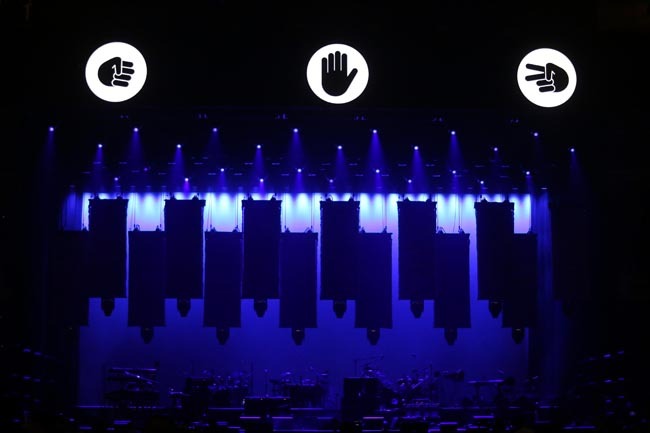 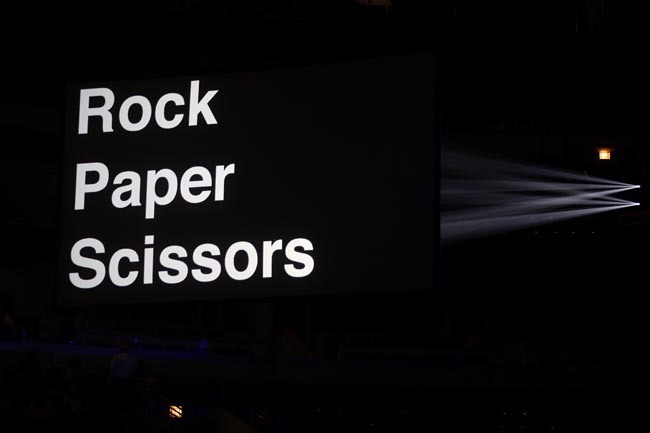 Perhaps taking cues from Sting’s last link-up with Paul Simon, this “Rock Paper Scissors” outing alongside Gabriel featured a similar format of a communal band featuring these Rock and Roll Hall of Famers’ key players, plus a mostly collaborative set where the co-headliners supported each other and occasionally covered one another’s material. 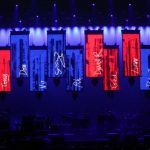 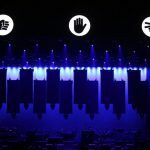 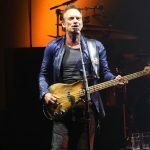 While the 160 minute night at United Center generally catered to the “Every Breath You Take” and “Sledgehammer” crowds, there were still a few surprises and many unique moments that would never go down in a solo show. 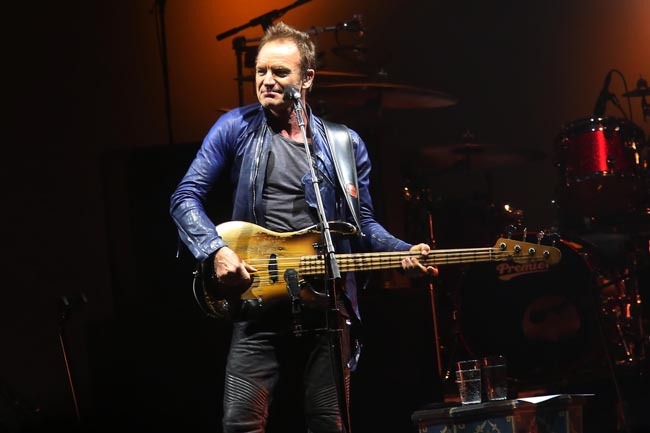 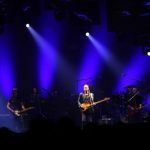 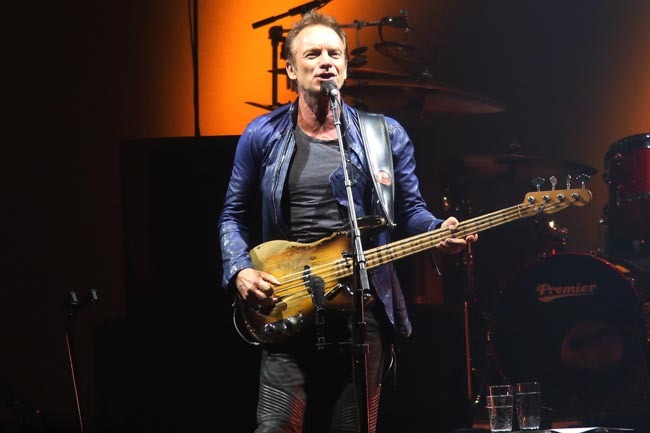 For instance, Sting introduced The Police’s “Message In A Bottle” with the opening portion of Genesis’ “Dancing With The Moonlit Knight” (met with shrieks of shock and delight from the progressive rock fanatics), while Gabriel returned the favor rearranging Sting’s “If You Love Somebody Set Them Free” as a jazzy shuffle that stripped away some of the now dated production. 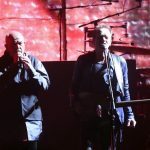 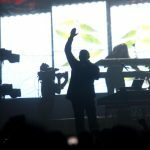 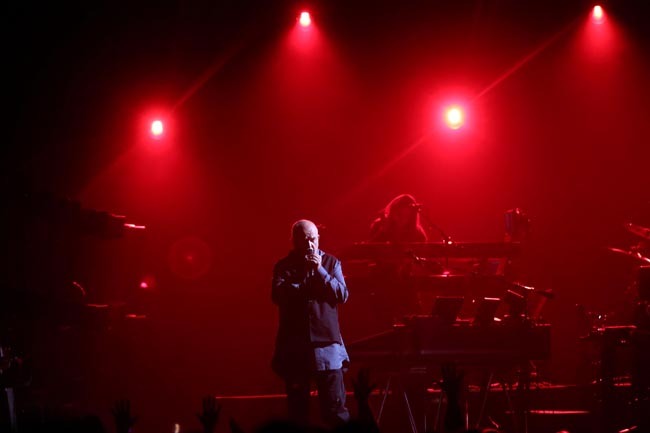 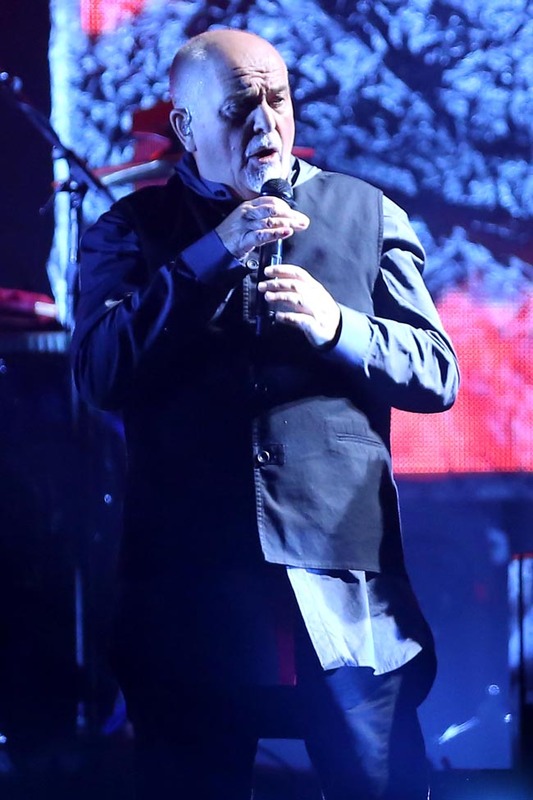 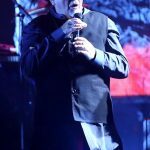 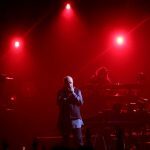 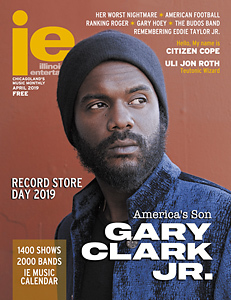 Gabriel also debuted an entirely new and unreleased tune called “Love Can Heal,” a gentle ballad that was quite beautiful in the tradition of “Here Comes The Flood” or “Washing Of The Water,” despite lacking the magnetism needed to transfix a sold out arena. 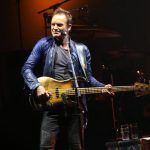 Sting didn’t perform anything from this decade, but “If I Ever Lose My Faith In You” proved just as relevant as ever, especially during the cheer-inducing line “you could say I’d lost my belief in our politicians.” Prior to acoustic “Fragile,” the singer/songwriter/bassist also called for empathy surrounding all the recent displays of terrorism and violence, specifically urging everyone to unite as human beings rather than segregating over skin color, sexual orientation or social status. 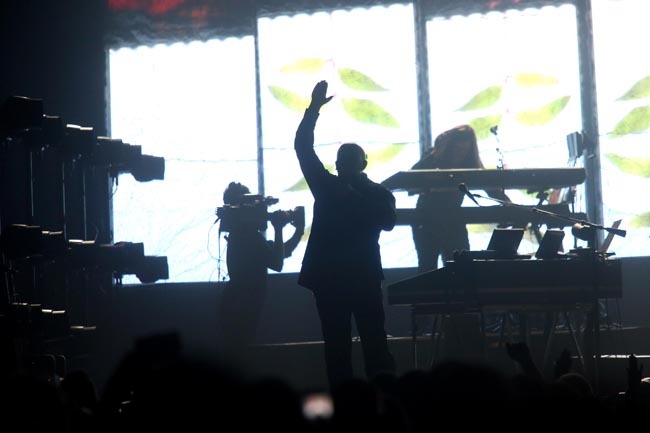 Gabriel displayed all the many shades of his musical personality, including the art rocker “The Rhythm Of The Heat,” the hopeful ballad “Don’t Give Up” (with Jennie Abrahamson capably subbing for Kate Bush), the funky “Big Time” and the joyful alt-pop of “Solsbury Hill.” He and several band members rarely left the stage, instead grabbing seats on the side to sway, dance, or in the case of all-star bassist Tony Levin, snap photos of Sting’s solo performances. 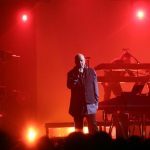 The man born Gordon Sumner sometimes did the same (minus the snapshots), but regularly jumped in with the background singers to lend his signature harmonies and repay Gabriel’s just as frequent keyboard and vocal accompaniment. 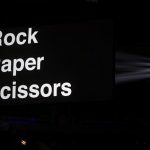 After tearing down the house together with the massive sing-a-long “In Your Eyes,” a lively encore of “Every Breath You Take” and “Sledgehammer” on steroids truly sealed the partnership, and given that the 28 songs presented only scratched the surface of each performer’s overwhelming outpouring, “Rock Paper Scissors” could very well spawn a much deserved sequel someday.